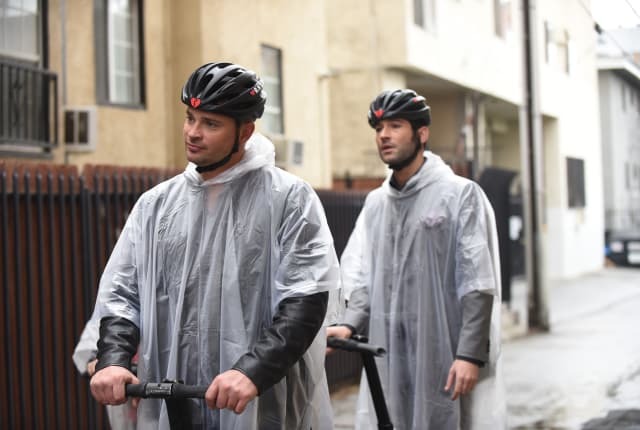 Watch Lucifer Season 3 Episode 18 online via TV Fanatic with over 1 options to watch the Lucifer S3E18 full episode. Affiliates with free and paid streaming include Amazon. On Lucifer Season 3 Episode 18, when a serial killer targets couples in love, Pierce realizes the case is connected to a murder he solved in 1958. Cain: This isn't just a lovers quarrel. Chloe: No, Lieutenant, you're right. And we need you on this case. Lucifer: Wh...(sighs). And I normally love threesomes. Permalink: Wh.... And I normally love threesomes. Dan: The school called. Apparently, Trixie gave Miss Brown pot brownies for Teacher Appreciation day. Maze: Well, did she appreciate them? Dan: No, she didn't, Maze. She was rushed to the hospital when she couldn't feel her legs anymore. Permalink: No, she didn't, Maze. She was rushed to the hospital when she couldn't feel her legs anymore.